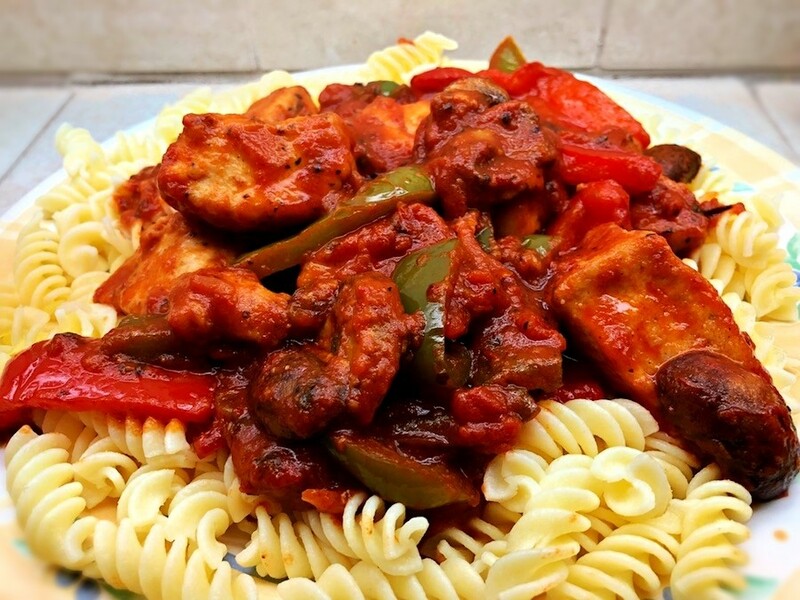 This delicious tomato sauced chicken and pasta dish is easy to make and can be tailored to your own pallet. 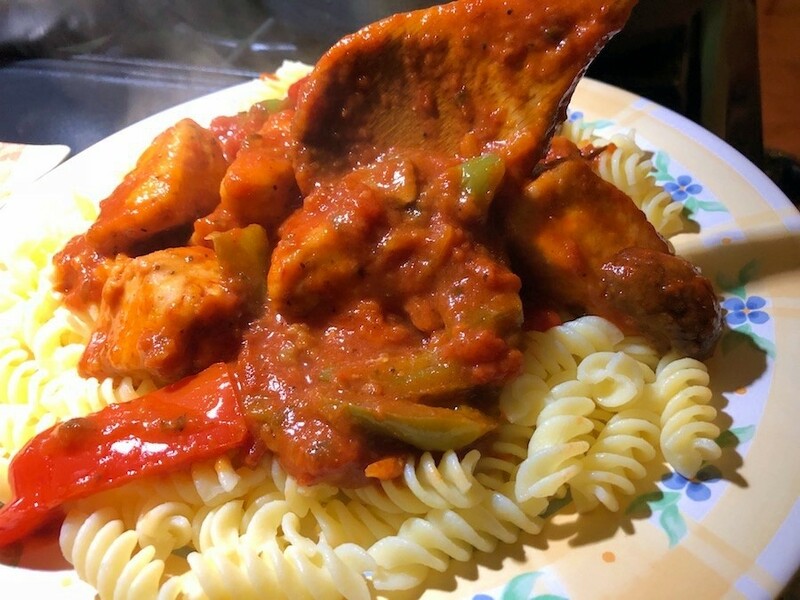 This page contains chicken cacciatore recipes. 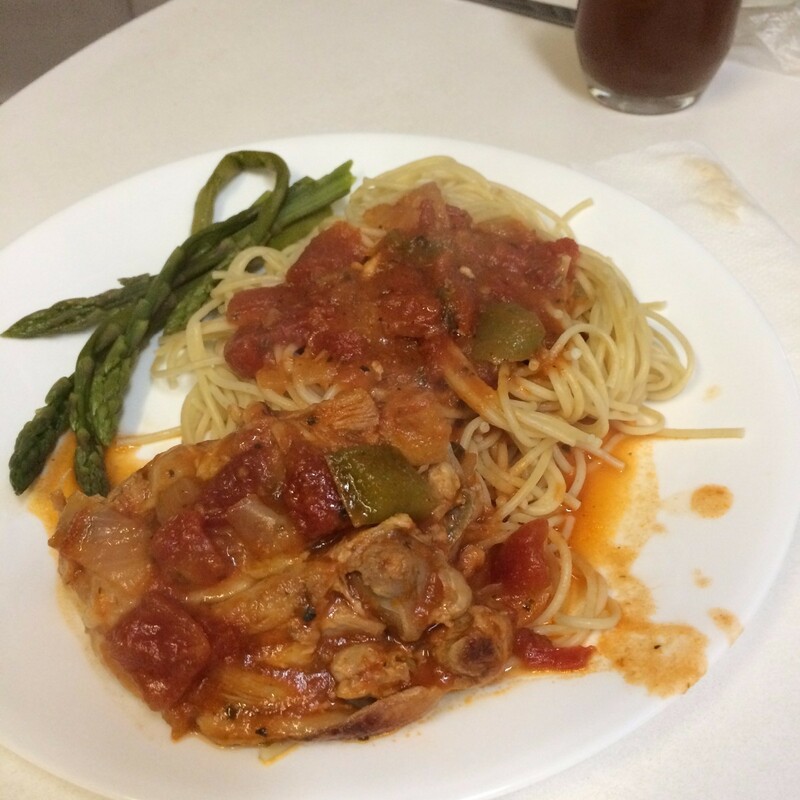 I love chicken cacciatore. 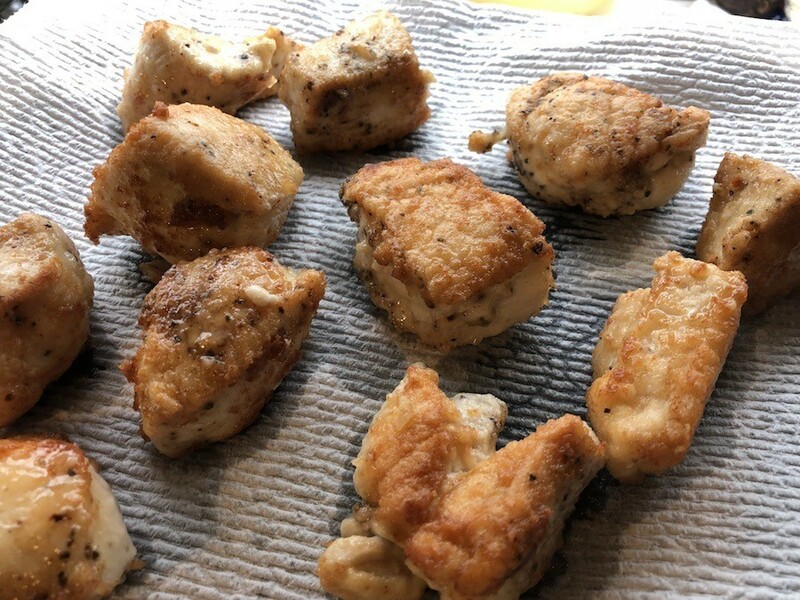 Here is a version that I make with chicken breasts to help cut out some of the extra fat. This is a delicious dish on a bed of pasta or rice. Here I've served it with gluten free rotini. Heat oil in a large, deep pan and cook until golden brown on all sides. Don't crowd the pan. If pan isn't big enough, brown in batches. Remove from pan and drain on a paper towel. 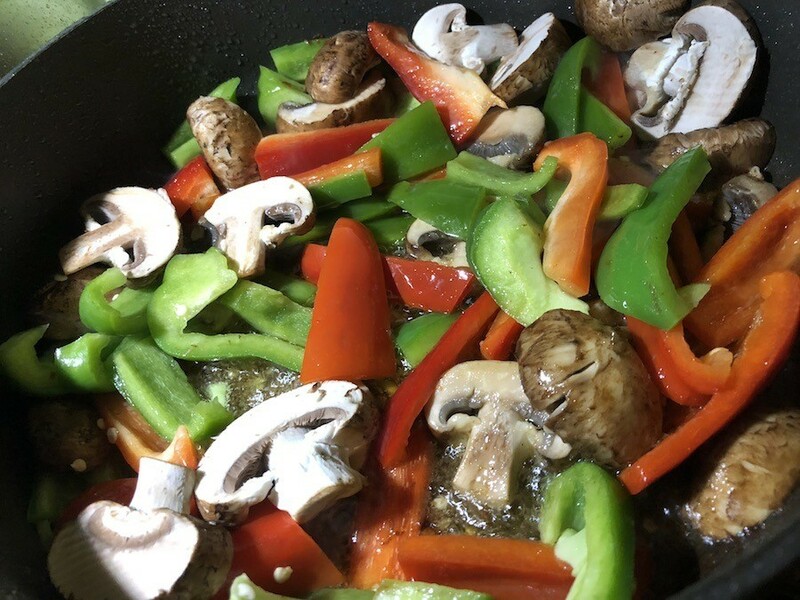 Place mushrooms and peppers in the same pan and cook until slightly wilted but still crunchy. Season with a touch of salt. 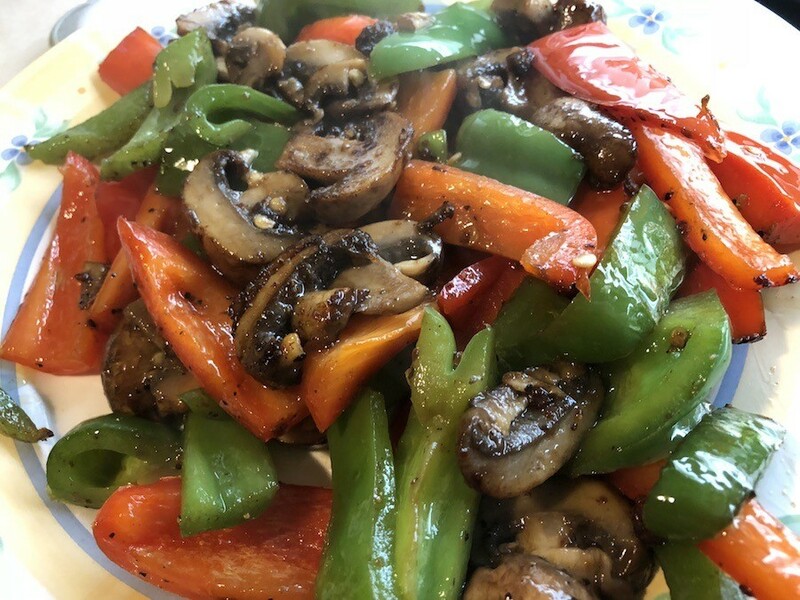 Use tongs to place mushrooms and peppers on a plate. Discard any oil left in the pan. 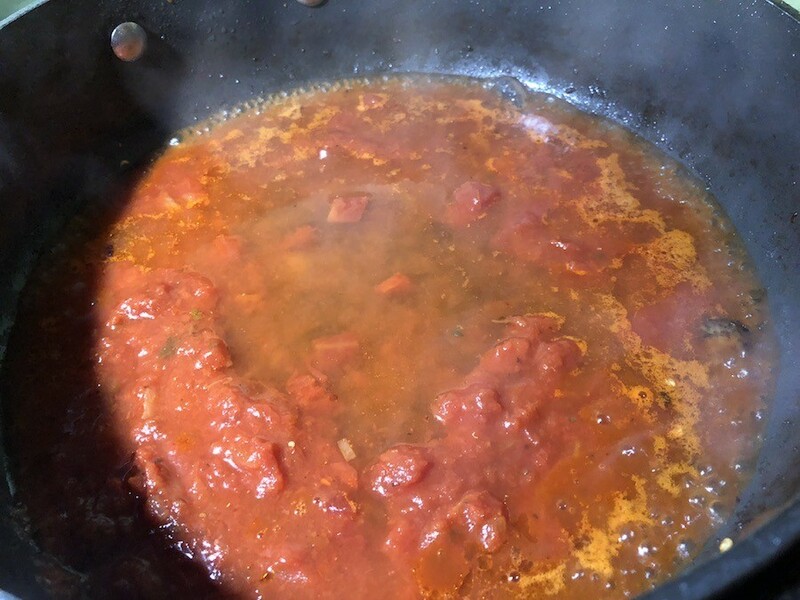 Add 1/4 cup of marinara sauce and 1/4 cup of water to the pan and bring to a boil. 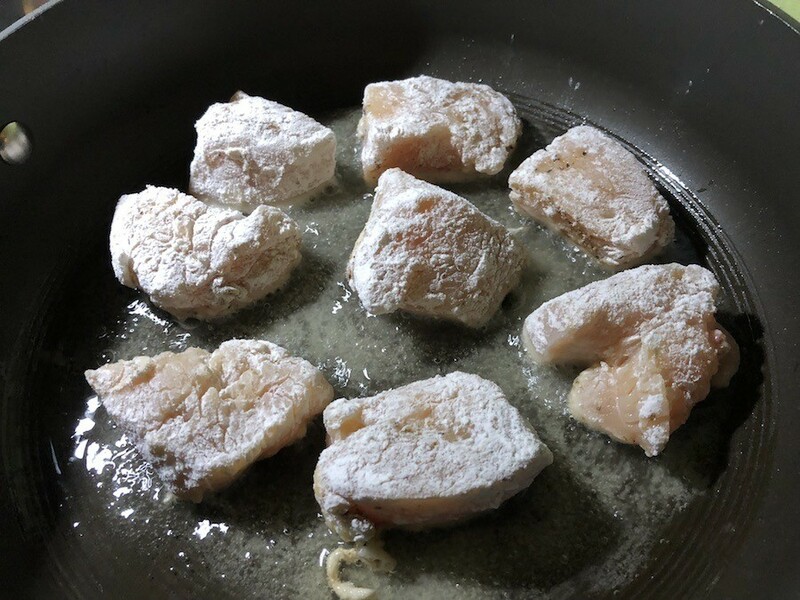 Put all the chicken chunks back into the pan and reduce heat to low. 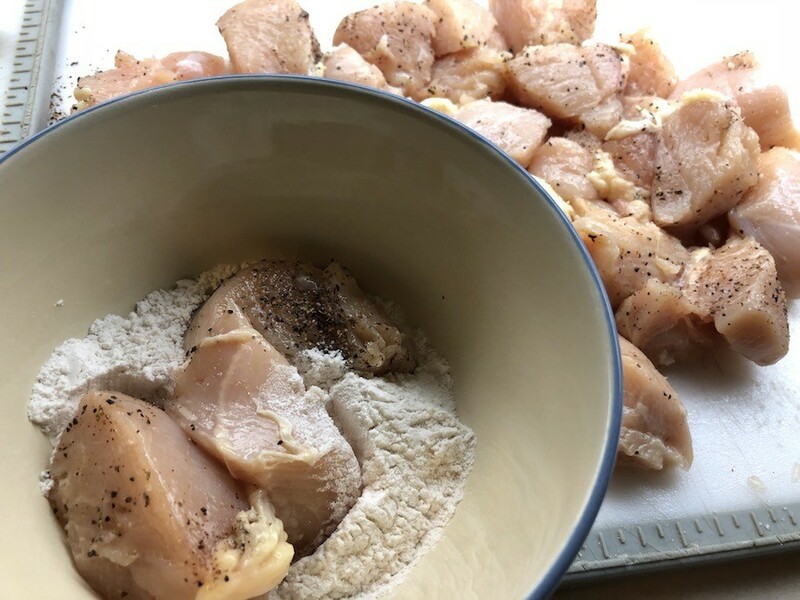 Allow chicken to cook for a couple minutes. 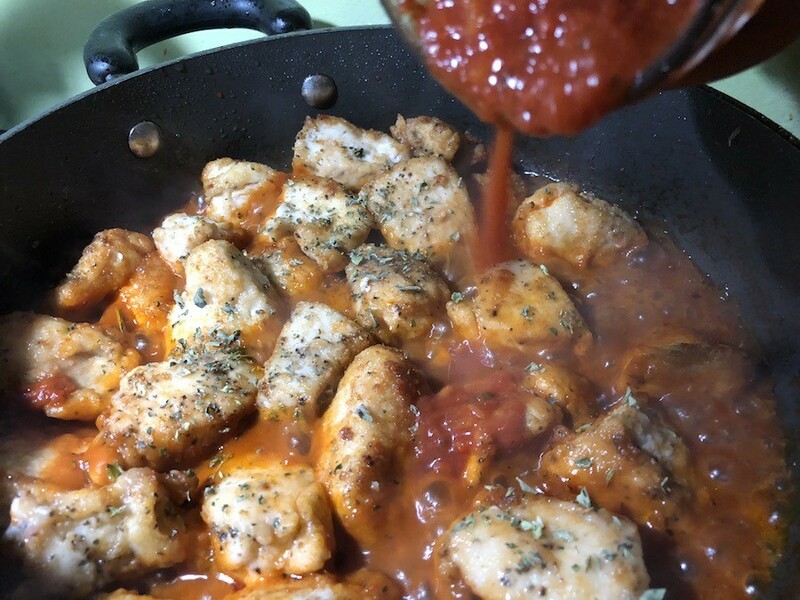 Add the rest of the jar of marinara sauce to the pan. Bring to a boil and let chicken simmer for 10 minutes. 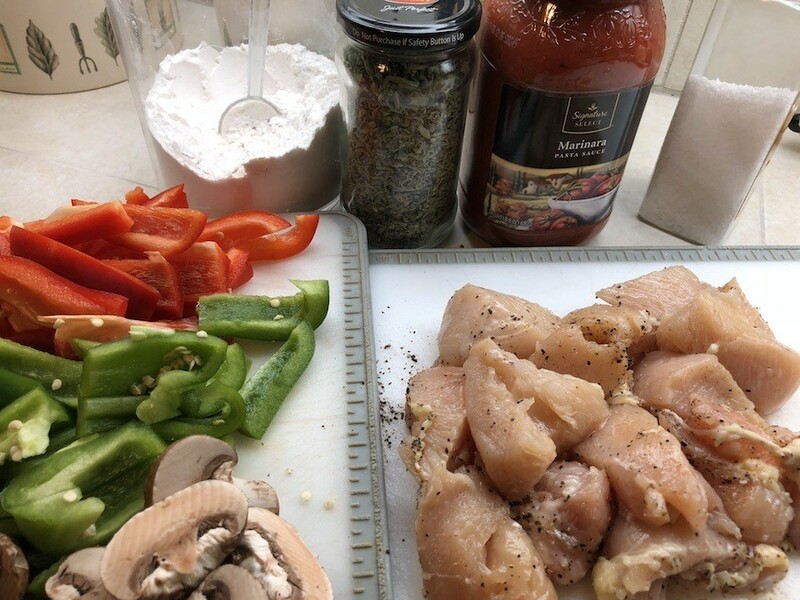 Add mushrooms and peppers, and cook for 5 to 10 minutes until chicken is tender. A delicious meal cooked in a pressure cooker. Your house will smell like an Italian restaurant. For a cheap, easy, fast and quick kid-friendly dinner, this is one of my standbys. Served with a salad, I can have a healthy dinner on the table in about 15 minutes. It's delicious, and very easy. Mix the rotini, sauce, left over chicken, black olives and, if using, the pepper rings. Stir in the mozzarella cheese cubes. Put this in a casserole dish. Cut green peppers into large chunks. Slice onion. 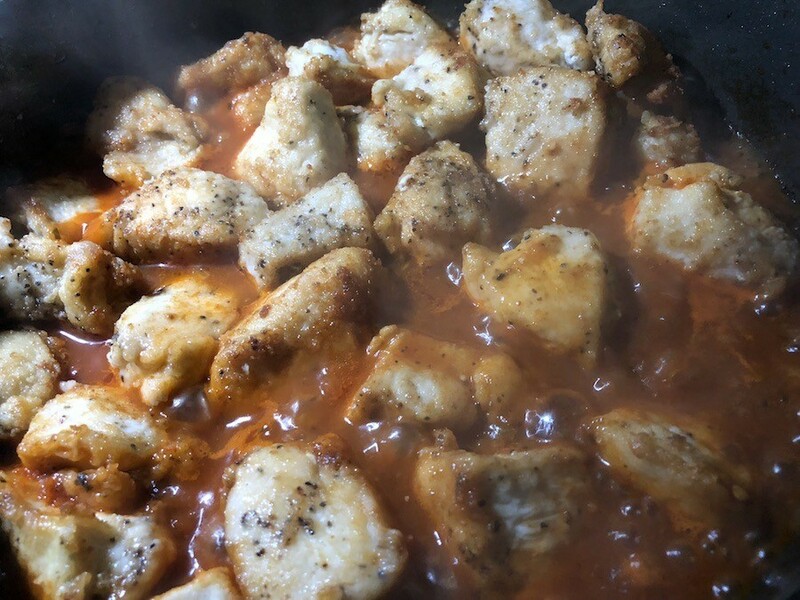 Cut up chicken, brown, and cook in skillet. In large pan, saute' onions and green peppers until tender. Add all the rest of ingredients except rice. 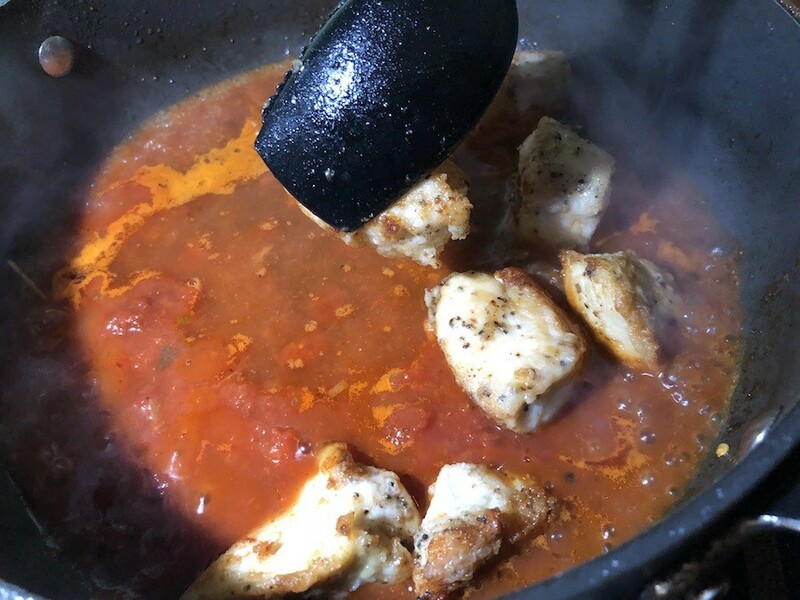 In a microwave-safe bowl, combine tomato sauce, Italian seasoning and garlic powder. Cover and microwave on high for 2 minutes; stir. Cook at 50% power for 3-5 minutes or until mixture simmers, stirring once; set aside. 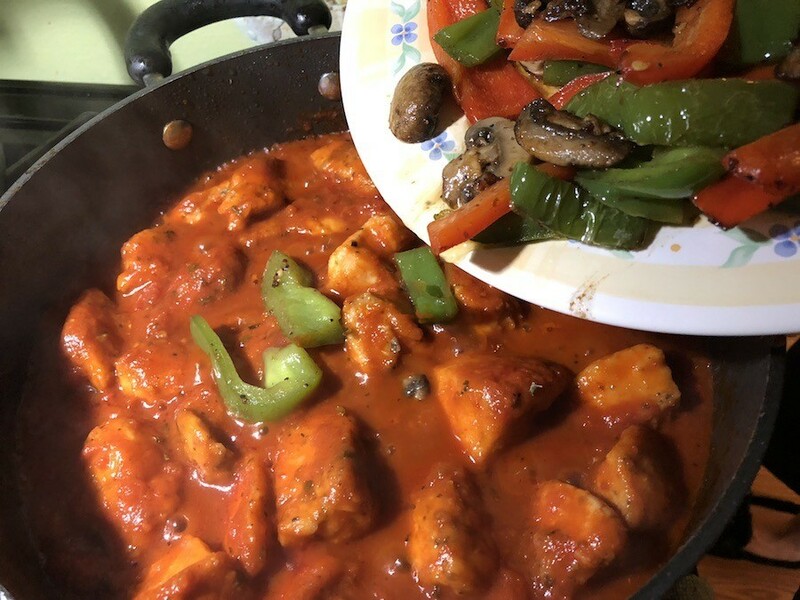 Can you substitute dry vermouth for dry sherry in chicken cacciatore? You most certainly can but if it's 'cooking sherry' you should reduce the salt in the recipe because cooking sherry/cooking wine uses salt to preserve it. You can also use a dry white wine. In the 1990's the Knorr Tomato Basil mix had a chicken cacciatore recipe on the box, different from the one on the box now. I would dearly love to have it again, it was so good. Thank you so much for your help.